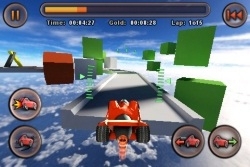 "Microsoft's indie line-up for WP7 is looking just as strong as its ‘Must Have Games' Live-enabled promotion, with Pocket Gamer iPhone favourites Harbor Master, Enigmo, and Jet Car Stunts all heading the way of the Windows." More and more of the popular games from other mobile platforms are choosing to embrace Windows Phone 7. This is great news for Windows Phone. These are quality games with great graphics! Which of the upcoming games are you most excited about? Jet Car Stunts FTW! Awesome game...really excited about this coming to WP7.